Extrapolation is irrelevant; the adoption of ad blocking does not grow in a linear fashion (although it does and will grow), so the “Advertising Apocalypse” is postponed. Ad enforcing is a constant battle of shield and sword: ad blockers respond to ad reinsertion, and then the reinsertion companies respond to the ad blockers’ latest moves, over and over again. The adoption of ad blocking can be slowed down only by making it less essential and desired for users. This would imply the use of less aggressive and intrusive ads, less annoying tracking and more respectful treatment of user data. The Coalition for Better Ads conducted a research on ad experiences and released their Better Ads Standards proclaiming some ad formats unacceptable. Google became the first company to declare the implementation of these standards in its browser. Browsers found it inevitable to protect their users from aggressive marketing because it’s crucial to their market success that their users can browse the Web comfortably. Page load speed is one of the main indicators of a browser’s quality. Meanwhile, the average size of a web page continues to grow: it has increased by 1,530kb or 317% from 2010 to 2016. Advertising helps the size growth a lot: big pictures, videos, interactive banners, trackers and analytic systems in the page code add to a page’s “weight”. That’s why browsers have to hold ads back. Opera had become the hero of 2016 when they added ad blocking to their apps, and Google Chrome captured our attention in 2017. Google promised to start disabling ads in Chrome by default, but only on websites that use ad formats claimed unacceptable by the Better Ads standards, and only until the unacceptable ads were removed. The press welcomed the news by overly optimistic headlines like “Chrome will start blocking ads”. We don’t think that the browser’s audience will notice that a revolution has happened, though. The web will start looking more beautiful and friendly in Chrome, but not all the users will consider this enough. 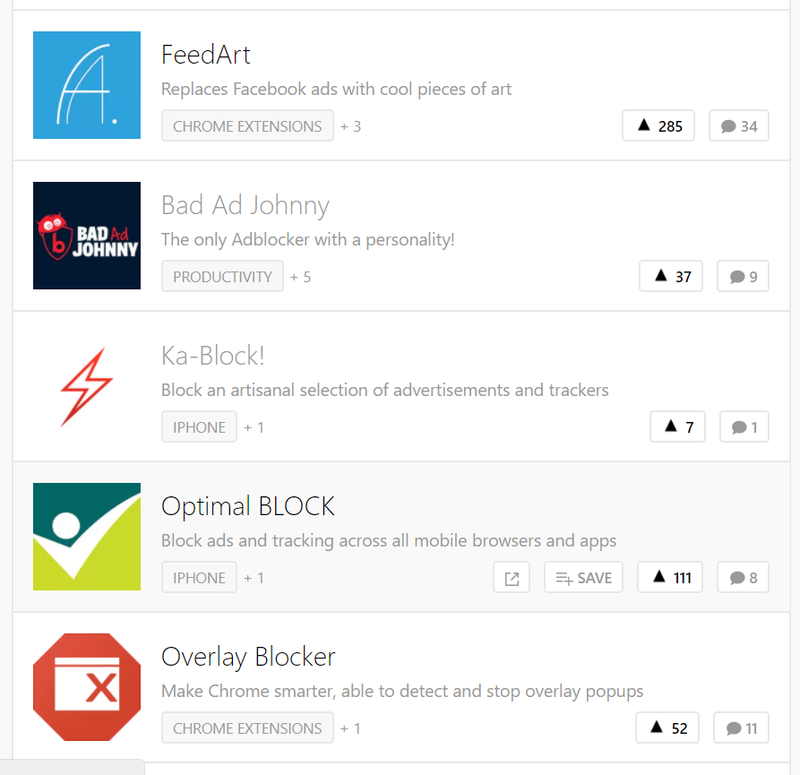 It has been estimated that about 1% of publishers would be affected by Chrome's "ad blocking". There is a tricky conflict of Google’s interests: they want a big and loyal audience for the browser, but their income is still almost fully based on advertising. 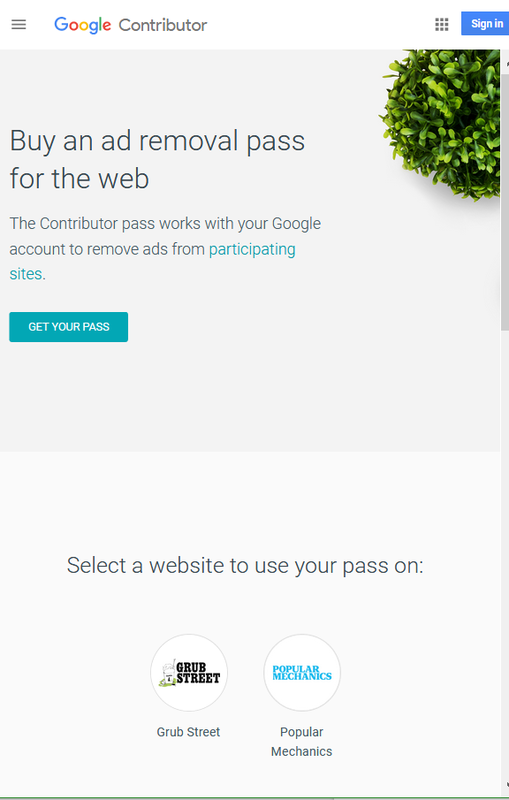 Along with the ad limiting plans Google announced the relaunch of Google Contributor - a website monetization alternative to ads. A Contributor user has an online wallet from which a small amount of money gets transferred to a website owner when the user visits it. There are only two websites at the moment that can be browsed without ads and donated to through Google Contributor. It works only in several countries, although it was first introduced back in 2014. It is hardly possible to estimate how many users are paying to websites through the Contributor. But we do know, for example, that only about a third of Opera’s tech-savvy users have turned on its native ad blocker. Apple is yet another “ecosystem generating” company like Google, but the situation with ad blocking is not so complicated for it because their revenue is not as ad-dependent as Google’s or Facebook’s. On the other hand, Apple hates interference with their ecosystem much more than Google. So it acted ambiguously in 2017: on one hand, Intelligent Tracking Prevention in Safari version 11 was announced, and autoplay of videos and audios in the browser was disabled. However, at the same time, a long-existing rule for app developers was suddenly put into effect. Applications that interfere with the performance of other applications have always been forbidden, and since system-wide ad blockers do interfere, Apple promised to get rid of them in its App Store. PageFair hasn’t yet released their annual report on ad blocking dynamics, but it is already clear that there will not be such a dramatic increase as there was in 2016. The target audience of ad blockers, privacy protecting and anti-tracking apps are technologically "advanced" users, who are concerned about personal data, their devices’ performance and marketing pressure. This customer segment is already familiar with ad blockers, but other segments come to accept and utilize such applications more slowly. An indirect piece of evidence pointing to the stabilization of the ad blocker market is the decline in the number of the relevant search queries through Google. Another indicator is that the number of new ad blockers launched on Product Hunt in 2017 was just two or three, compared to a dozen or two in 2016. The decline revealed by Google Trends can be explained by the continuing shift of the Internet use from computers to mobile devices. As the Page Fair research has shown, many users simply do not know that ads can be blocked on smartphones as well (high ad blocking rates on mobile detected by that research are the contribution of the Asia-Pacific region, where browsers with a built-in blocker are popular). We, however, do not expect a decline in the number of users of ad blockers and anti-trackers. Their role as a security tool is becoming more obvious and important to many people. The events of 2017 made it clear that apps for protection from aggressive marketing (ad blockers, anti-trackers) are essential not only for comfortable web surfing but for security as well. In 2016 the volume of malvertising grew by 132%, in 2017 a new threat — the stealth mining of cryptocurrencies, or cryptojacking, emerged and flourished. This involved using other people’s computers and smartphones without their awareness and consent for performing blockchain-related calculations and receiving a reward for that. The code of mining scripts was being found on websites, in apps, games, browser extensions, and of course in advertising banners and other elements. Ads often get infected with malware or mining scripts by hackers that break into ad networks, so even ads of well-known and reliable advertisers can be dangerous. PageFair noted in their report that in 2016 people most often named “security” as their reason to install an ad blocker. In 2015 the prevailing argument was “privacy protection”. A shift in motivation is clear even if we keep in mind that poll participants sometimes prefer to voice “socially approvable” explanations of their behavior. Our own statistics show that 57% of web users have already suffered from malvertising and use an ad blocker to protect themselves, and 48% are concerned about privacy and data abuse. Google announced that they would connect information about offline purchases of a person with the information about ads they have seen in order to estimate the ads’ effectiveness. Google presently has access to 70% of all US credit and debit card transactions. Mobile apps "listen" to TV through the phone’s microphone in order to find out what ads the phone’s owner sees. Users keep noticing ads on Instagram and Facebook that match the keywords from their offline conversations and discussions with other people. Presumably, the apps also “overhear” offline chats around the phone. Merging, matching, and cross-analysis of information of different types from various sources is actually a strong marketing trend for 2017 and the nearest future. 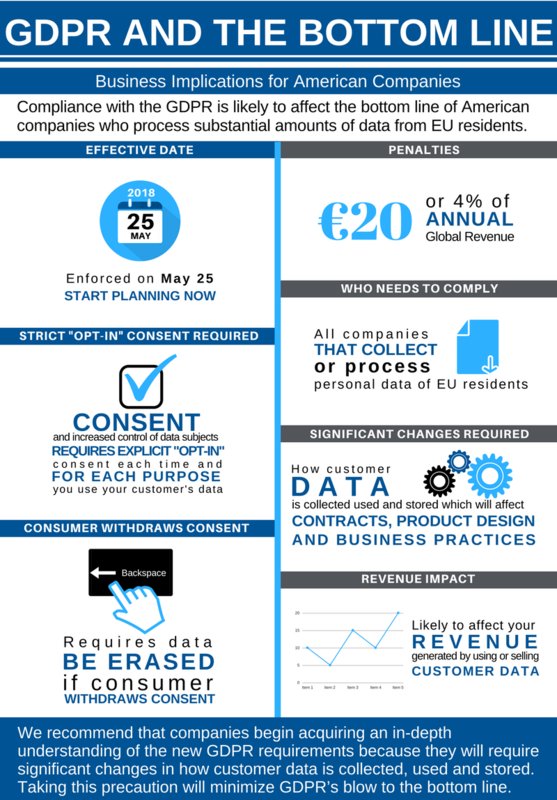 In the US and Europe, the General Data Protection Regulation (GDPR) directive became an important privacy-related phenomenon of 2017 and 2018. This come from the European Union’s document of the same name, and following it is mandatory for any company that is going to process personal data of EU citizens, whether or not the company itself is European. The discussions around this document also helped to draw attention to privacy, data value and related threats. As a result, now at the beginning of 2018, only half of the SAP Hybris respondents from the USA, France, and Germany are ready to share their email addresses with brands. Only a quarter of Americans are ready to give their mobile number to marketers, Only 20% of Germans would share their online shopping preferences and history with advertisers. At the same time, 64% of Russians are willing to do so. The legal field has become another field of battle for marketers with services that limit their activity. However, state regulators are mainly on the side of citizens: even in China, where ad blockers appeared to be officially banned in 2016, they are nonetheless available in app stores, and the UC Browser attracts users by featuring ad blocking as one of its main functions (though in actuality, it adds some ads of its own after blocking the ones that websites show, and is not an example of privacy and data protection). The European Commission stated its official position on ad blockers: users have the right to install them, and sites have the right to detect them without prior permission, and they also have the right to ask users to disable blocking (or add the site to the whitelist). The company-owner of Adblock Plus, eyeo [sic] (registered in Germany) won some more trials against large media corporations. eyeo gets targeted with several lawsuits each year, and judges keep deciding in favor of Adblock Plus, and not in favor of advertisers. A peculiar attack against ad blockers was made in August: one of the ad filters (rules by which blockers find ads in a page code) was removed from the popular filter base EasyList after a DMCA-request. The Digital Millennium Copyright Act, or DMCA, protects copyright on the Internet, and its connection to ad filters is not quite obvious. Later it turned out that the request was filed by Admiral, the startup that helps sites fight ad blockers. We feared that this scheme may set a precedent, and copyright protection will be used regularly to obstruct blockers, but nothing like that has happened yet. Many new ad blockers appeared in 2016, but 2017 wasn’t the same. One new entry was an ad blocker called AdNauseam — a browser extension that virtually “clicked through” all ads on a webpage. The idea behind this was not to bankrupt advertisers, but rather to confuse analytics and algorithms that define users’ interests and analyze their behavior. Google banned it from the Chrome Web Store, but the tool still exists. Another interesting app is just a proof-of-concept so far. It is a prototype that demonstrates the usage of computer vision for identifying ads. Such a perceptual ad blocker would “evade all known anti-ad blockers” and is based on research by a team from Princeton and Stanford Universities. The blockchain hype resonated in the advertising industry and brought forth some new ideas, mostly of ad exchange platforms, that would use blockchain and cryptocurrencies to make ad buying and placement transparent, eradicate bots, fraud and other types of deceit, and also to reduce the number of intermediaries, which would theoretically lead to cheaper advertising for brands and more revenue for sites. In 2016 the U.K. newspaper The Guardian illustrated the middleman paradox in advertising when they bought ads on their own website and received as a publisher only 30 pence from each pound sterling (GBP) they spent as an advertiser. Personal data exchange platforms like datacoup.com are yet another intriguing trend. They are attracting users with the prospect of getting an honest share of profits made with the use of their personal data — marketing use first of all. An FT columnist went as far as to claim that “Facebook should pay us a basic income”, to share with users revenues from Big Data, the “digital oil” — as for example, Alaska shares with its inhabitants a part of the income from the production and sale of that state’s oil. In the end of May 2017, the browser Brave introduced by the co-founder of Mozilla Brendan Eich had a very successful ICO. For seeing ads in this browser user are supposed to be rewarded with Etherium-based BAT tokens. Mass Network promises to pay users with Mass Coins for viewing their ads, and even NASDAQ launched its own advertising exchange based on blockchain. Actually, the idea to pay people for seeing ads online has been in existence for about as long as online ads themselves. Perhaps the use of blockchain will finally make it work? We are interested here only in the innovations that make users want to protect themselves from intrusive advertisers. Apple presented Face ID in 2017. Face recognition already existed, but when Apple implements a technology, it often becomes truly fashionable and mainstream. Face recognition is good not only for identification based on biometrics but for marketing as well. For example, imagine selling Prozac to sad housewives or Clearasil to pimply teens. By the way, in 2017 Facebook was caught identifying sad, and probably pimply, teens among their users. A leaked document was offering the social network’s advertisers to define “moments when young people need a confidence boost.” The algorithms are able to recognize if a teen feels "worthless," "insecure," "defeated," "anxious," "silly," "useless," "stupid," "overwhelmed," "stressed," and "a failure." It would be great for advertisers to target users interested in "looking good and body confidence” or “working out and losing weight”, the document says. Some news has been relieving: Google closed “Project Tango.” This was supposed to be a smartphone that maps living rooms, identifying people, furniture and other objects, and activities inside rooms. Google closed this, not because it was creepy, but because it required a handful of additional sensors to be placed in a phone. Tango was replaced by the AR Core platform, targeted mostly for game developers. 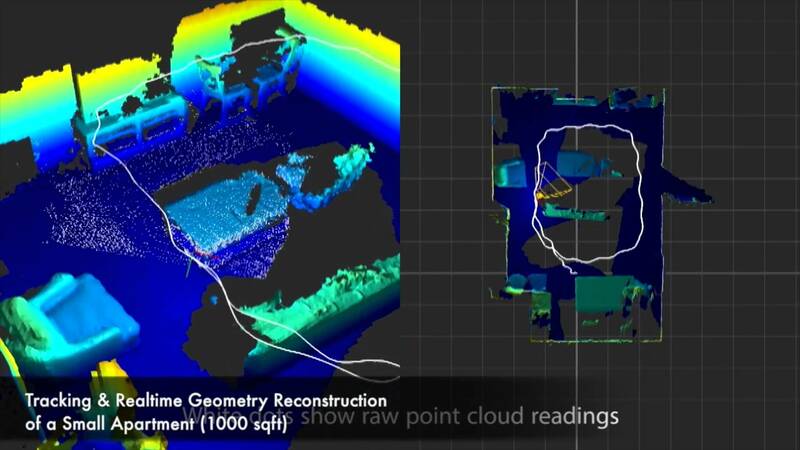 It relies on a commonly installed set of sensors to build augmented and virtual reality apps. VR and AR games are also the priority of Apple’s AR kit for developers. 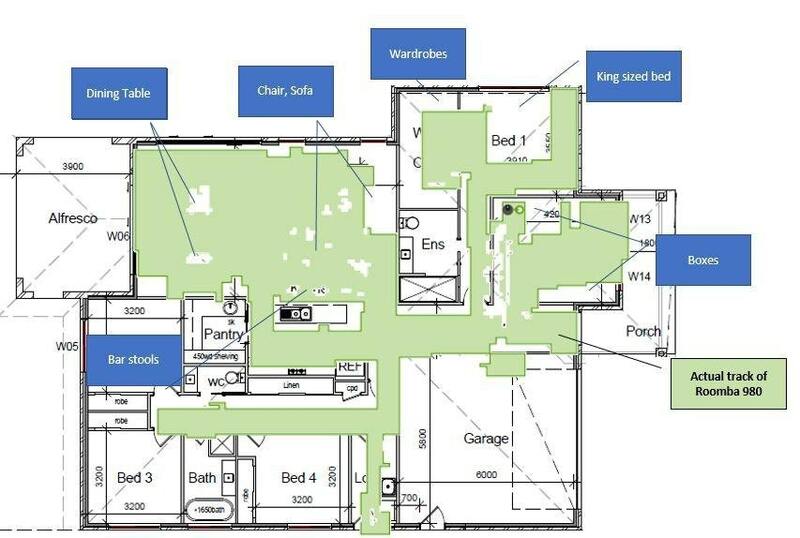 Let’s recall that day in 2017 when we found out that the new Roomba (the robotic vacuum cleaner) models, were mapping rooms that they clean, gathering information about their size, the furniture and even the chemical composition of garbage on the floor. iRobot’s CEO dropped a hint in an interview that his company might share this data with other companies (he spoke about the “Big Three”, Amazon, Apple, and Google), and iRobot’s stock price rose rapidly from $35 to $102 per share. So, based on all that we have discussed here, what should we expect in the nearest future? The value of personal data grows along with the understanding of this value by users. As data gets processed in more and more sophisticated ways, the risks of abuse get higher and at the same time more comprehensible. When companies show people the examples of how the information about them can be used, they also raise awareness and the desire to control data harvesting. 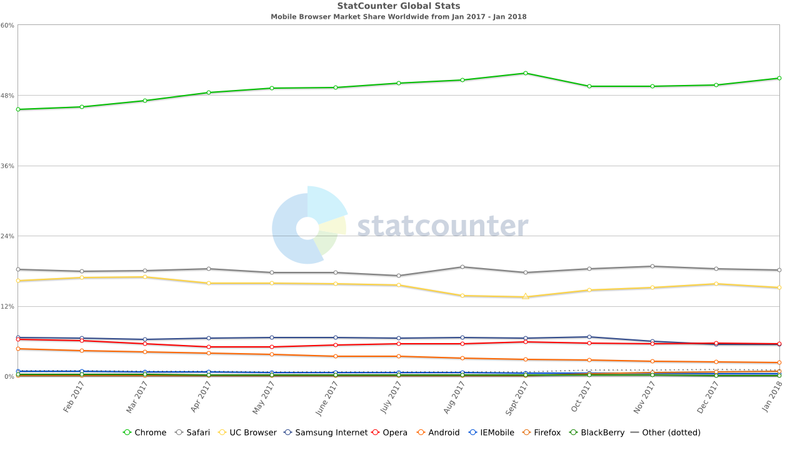 New interesting startups in the niche of protection from aggressive marketing (ad blocking, anti-tracking) may and will appear, but the market trends (and the activity of popular browser developers) are more favorable for the evolution of large players than for the emergence of new ones. 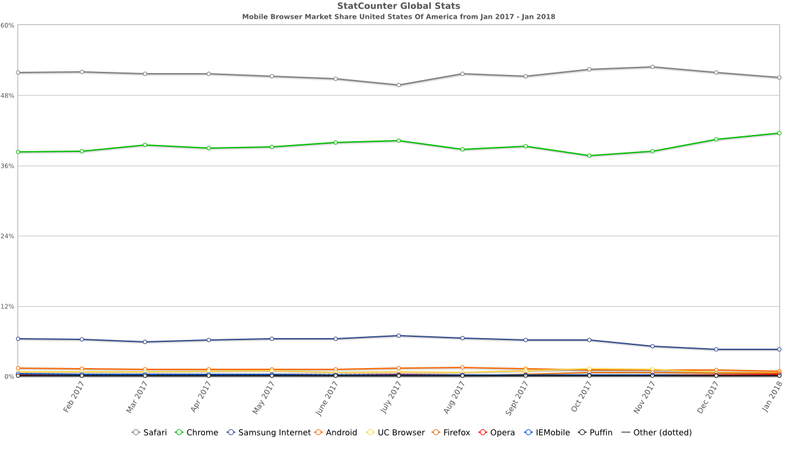 According to StatCounter, in 2017, almost all mobile users in the USA surfed the Web through Safari or Chrome, the default browsers of their mobile ecosystems (another 10% got Samsung Browser), and all other browsers have less than 2%. UC Browser is popular in Asia. Adblock Plus Browser has not caught up with even the Blackberry Browser. The anti-adblocking and ad reinsertion markets will continue to grow. A third of the sites from Alexa’s top 10 thousand are already working with ad blocking users in some way. Most of them, however, are not trying to enforce ads, they just show messages asking to white-list the site or to donate, or analyze their audiences. Advertising technologies related to augmented reality, voice recognition and synthesis, mapping (inner space cartography) and biometrics will evolve. Active penetration of connected devices in homes will continue, and new privacy, data loss and abuse scandals will arise. The attempts of IoT legislative regulation will be taken, probably in the EU, maybe in the US. Brands continue to master the marketing potential of voice AI-assistants. We already had some curious cases in 2017. For example, Google Assistant recommended a musical to its users amidst reminding their plans for the day. But that was an experiment by Google itself. There were at least two high-profile cases of "hacking" assistants. Burger King made a voice search request to millions of smartphones when the TV ad character said: "Okay, Google, what is a whopper?" (They also edited the corresponding article on Wikipedia so that the request would be answered as they wanted). A TV anchor asked Amazon’s Alexa to order a dollhouse… Perhaps the developers of voice assistants will have to engage voice biometrics to make services respond only to their hosts’ commands, which means that they will be able to collect even more interesting data. In general, efforts made by the advertising market to "improve" advertising will not remove the need to combat marketing pressure. Ad blockers will still be needed to protect brains and gadgets from ads that still abuse screen space, connection speeds, battery load, human attention and the weak spots of human nature.